Totally speechless! 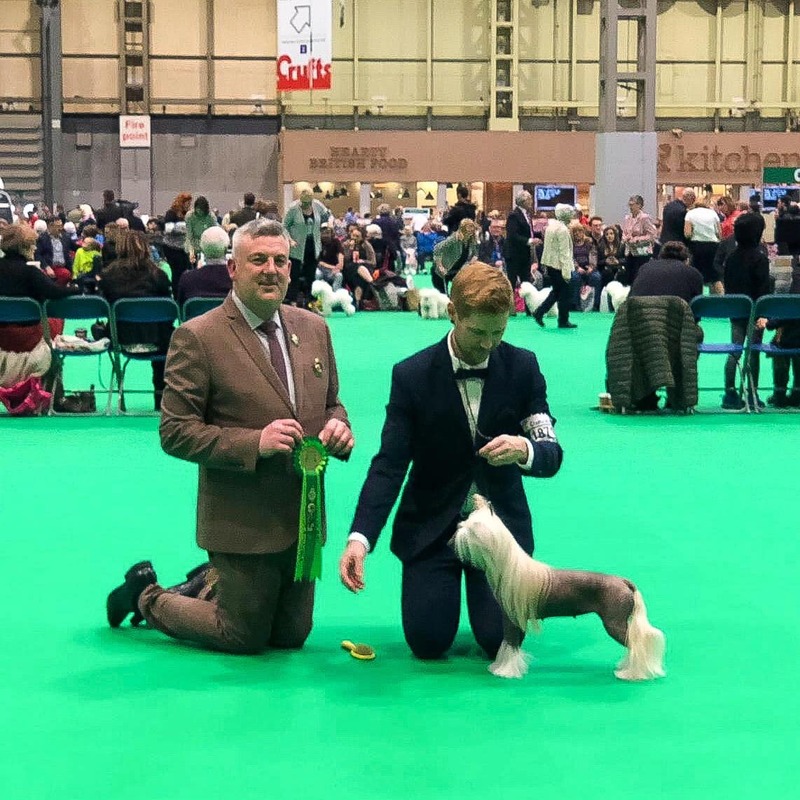 MultiCh MultiW Arte Figure Happy Ending ”Kaya” Best Female, Best Of Opposite and Challenge Certificate at Crufts under breed specialist Lee Cox! And to top it all Kaya’s son Arte Figure Next Level at Casacavallo 2nd Best Male with Reserv Challenge Certificate! What a day for Arte Figure! Thank you all for a really memorable day! Check more about our trip to Crufts on Arte Figure Facebook. Once again a great year for Arte Figure! 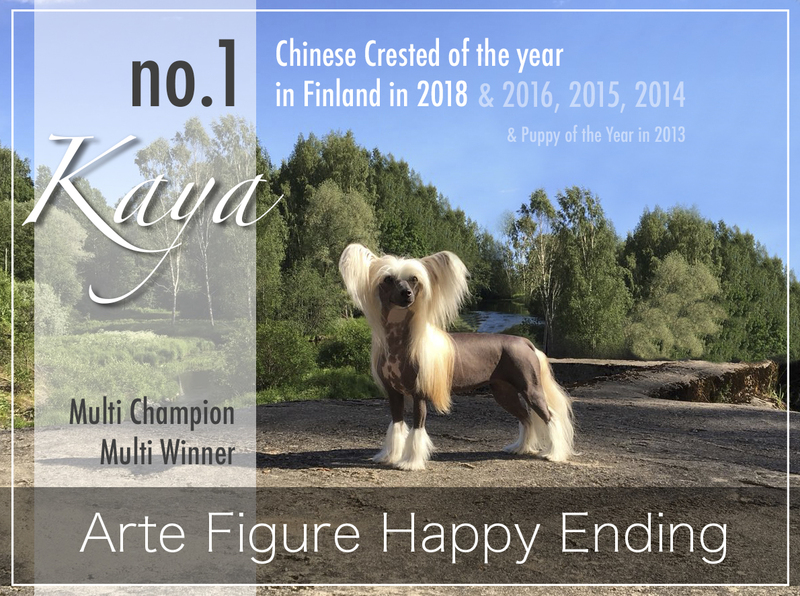 MultiCh MultiW Arte Figure Happy Ending "Kaya" THE CHINESE CRESTED OF THE YEAR 2018 in Finland! Kaya was the female and managed to do this after almost 1,5 years show break and with very limited showing. Her daughter "Lana" HeJW Arte Figure Not That Kind was 2nd best female puppy in Finland in 2018!